Sits on desk or credenza shell to create the perfect environment for transacting business or receiving guests. 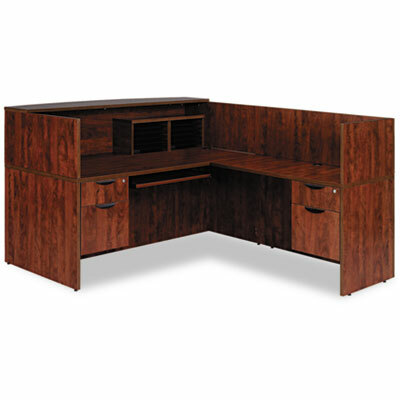 Make a great first impression by transforming your desk or credenza shell into a professional work area that is ideal for transacting business or welcoming guests. Durable woodgrain laminate features a charcoal accent line under the worksurface for a clean, contemporary look.